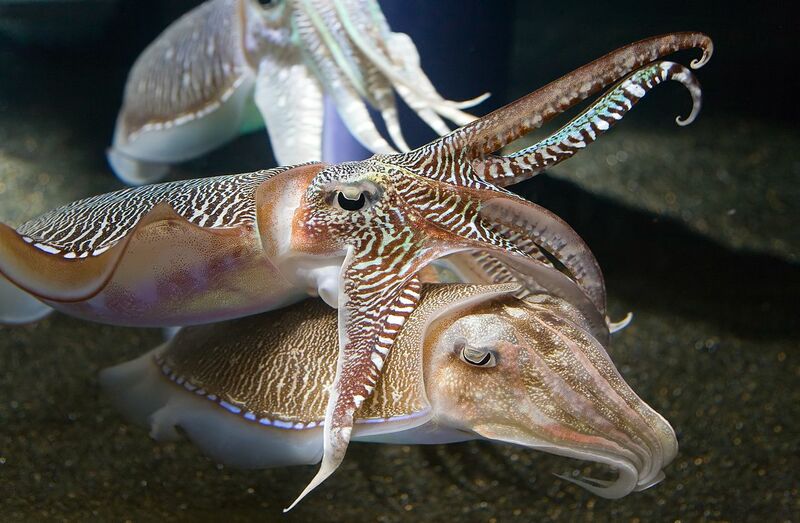 English: Two cuttlefish interacting (cuddling) at the Georgia Aquarium, Atlanta, US. 출처 Taken by myself with a Canon 5D and 24-105mm f/4L IS lens at ISO1600. 이 파일은 독일어 위키백과 (Exzellente Bilder)에서 알찬 그림이었으며 최우수 이미지 중 하나로 여겨집니다. 현재 2006년 1월 25일 (수) 14:14 2,090 × 1,367 (818 KB) Diliff Two cuttlefish interacting at the Georgia Aquarium. Taken by myself with a Canon 5D and 24-105mm f/4L IS lens at ISO1600.